The Vergato Single Corner Bath Vanity conveniently completes smaller bathrooms with its space-saving design. Although it may be small, it does not lack style. 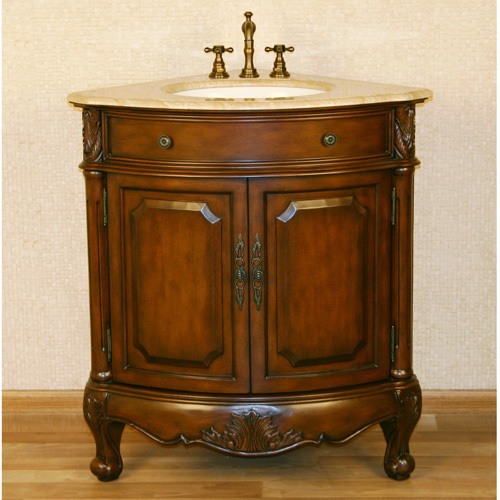 Its hand painted finish and antique brass hardware gives this vanity a lot of character. The countertop is Roman Vein-cut Travertine, which is pre-drilled for faucet installation. The double door cabinet allows you to keep your bathroom stocked, yet tidy. 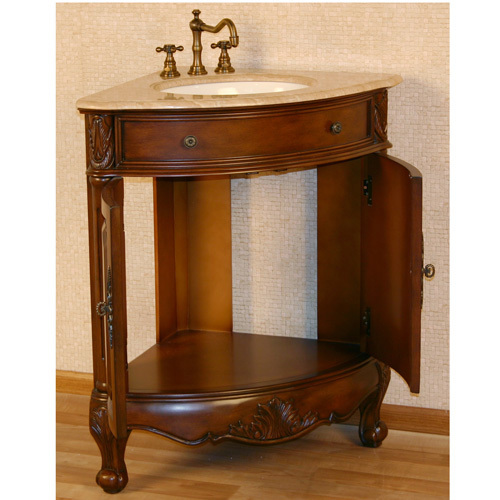 This corner vanity also includes a white ceramic undermount sink. Faucets sold separately.